"In this outstanding volume, Dr. Gaillard has assembled a team of international experts who have written one of the most comprehensive treatises on this topic. 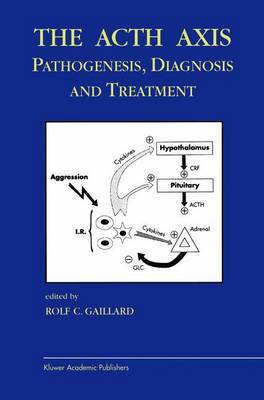 Ranging from fundamental molecular developmental mechanisms of the corticotroph cell, to the treatment of Cushing's Disease, these chapters provide a cutting edge overview of the pathogenesis, diagnosis and treatment of disordered hypothalamic-pituitary-adrenal function. Especially noteworthy are the inclusion of chapters on appetite control and neuro-immunomodulation, reflecting the recent exciting advances in these fields. The student of Cushing's Disease and the HPA axis will find elucidation of the latest basic scientific advances, coupled with patient friendly guidelines for clinical diagnosis and management of an extremely challenging neuroendocrine disorder. The repute of the authors, highest quality writing, lucid text and comprehensive coverage of the topics, all blend to result in an excellent text."